Performance golf ball manufacturer for over a decade. Apiona Golf product line includes tournament ball, range ball and floater ball in 1-piece,2-piece,3-piece, and 4-piece constructions. 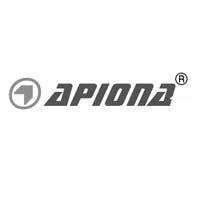 Apiona offers integrated services such as cover logo, package and style designing, and arranging various golf accessories into the style set. Through our local warehouses, Apiona Golf customers/partners can cut the shipping period and cost. We are comfortable and confident to deliver the best quality and solution for your business. With our development and service strengths, we are capable to help our customers to navigate through obstacles most businesses face today. Apiona Golf welcomes buyers, agents and other suppliers to build up the long-term cooperation.